Need to feed a crowd? Make this cake! We’ve all been told that gluten is bad and to stay away from carbs, but unless I have a serious illness that keeps me away from the tender, tasty grain, I’ll continue to bake with this magical substance called flour. Flour seems to standard and basic, but it is quite mystical and amazing. Okay, maybe I am getting carried away, but in the type of baking that I do, it is a very important ingredient. The primary difference between types of flour is the amount of protein. Protein in flour contributes to gluten development. When the protein combines and begins to absorb moisture in a recipe, gluten begins to develop. Mixing or kneading batter and doughs expands the web of gluten by exposing new surfaces of the proteins to the liquids. The more the dough is mixed, the stronger this web will become. Consequently, this is why a cake may become tough and dry if over-mixed. However, a strong structure is important in order to create a strong framework for the leavening agents for when the batter/dough hits the heat of the oven and the gases from leaveners or yeast begin to expand. The web of gluten suspends the trapped air being expelled in order to provide lift and support the rise in our baked goods. So, the more protein in the flour, the higher the potential for gluten development, thus increasing its ability to trap gasses within the batter. This is why yeast-risen breads (meaning, lots of gas bubbles) call for bread flours (they have more protein – see below). Make sense? Wheat flours are composed of not only proteins but starches as well. Starches in flour absorb moisture and act as natural thickening agents. They help with binding ingredients together, too. This is also true with non-gluten forming states, like cornstarch. This is why you may see flour in recipes for pie filling and pastry cream as well as baked goods. All-purpose flour is not really for all baking after all. It’s no wonder that a light-as-air Angel Food cake and a rustic loaf of bread call for different types of flours. Pastry flour is a type of soft flour, meaning it is made from soft wheat. It has a slightly higher protein content than cake flour. A big difference is that it has not been chlorinated like cake flour. It has a low capacity for absorbing liquids and yields a soft crumb and tender baked goods. Like pastry flour, cake flour is made from soft wheat but it is treated with chlorine. This not only accounts for its stark white color, but taste too. You will find cake flour in recipes for Angel Food cake, chiffon and sponge cakes, and tender butter cakes (like in a lot of my white or yellow cake recipes). Depending on the brand, all-purpose flour is made from both soft and hard wheat. It is middle-of-the-road flour. I suppose that is where the name came from. You will find all-purpose flour in things like cookies, brownies, quick-breads, and more “durable” cakes like chocolate and carrot. 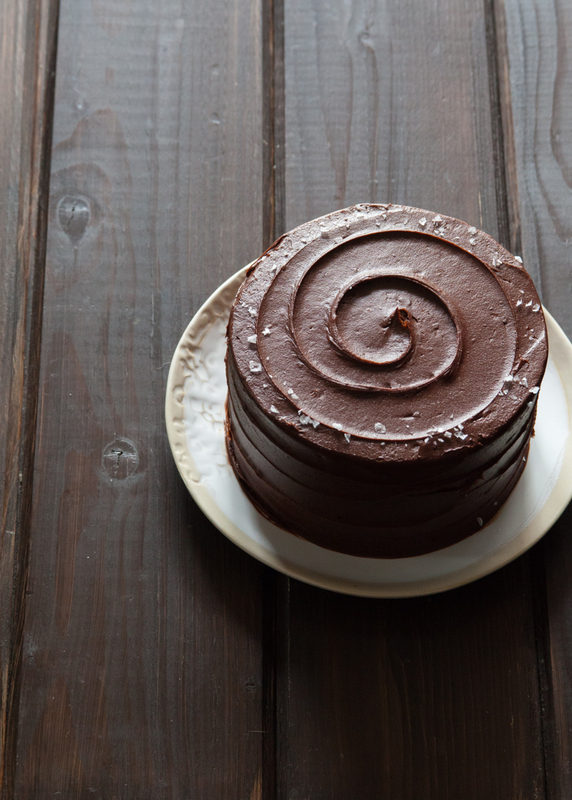 Can you still use all-purpose flour for cake? Sure you can, but just be prepared for a slightly denser or tougher version of your tender butter and sponge cakes. I will sometimes use a combination of ap and cake when I need a “studier” cake. Feel free to experiment, or just still to what the recipe calls for. Bread flour, or hard flour, is made from hard wheat and contains a high percentage of protein. As mentioned earlier, bread flour is typically called for in recipes that require yeast and need stronger structure to support all those yeasty gas bubbles. Gluten is developed through kneading and stretching the dough. Bread flour may also be call for in pastry recipes. What? Wouldn’t they use pastry flour? Some pastries that use large amounts of cold butter (think puff pastry) need a strong flour to support the layers creating by the large amounts of cold butter melting, evaporating, and creating lift in the oven. In a pinch, you can make all-purpose flour work for you without having to go to the store for cake flour. All you have to do is: 1) measure out 1 cup of all-purpose flour 2) remove 2 tablespoons of the ap flour 3)add in 2 tablespoons of cornstarch. And there you have it! 1 cup of cake flour! Be sure to sift before adding it to your batter. Of course this is not exactly like cake flour, but it does make for a fine substitute when you need it. All this flour and protein talk got you all dizzy yet? Well relax, this chocolate sheet calls for plain ol’ all-purpose flour. It even comes together all in one bowl! I recently made this Texas Sheet Cake over on Brit + Co, and just had to make another for you all here. However, I replaced the best part of the Texas Sheet Cake (the no-waiting-to-frost-the-cake part) with the most decadent fudge frosting ever. Plus, I prefer sprinkles to pecans (who doesn’t?). Whichever you choose, it’s going to taste amazing – I promise! Place the butter, cocoa powder, water, and espresso powder in a saucepan. Bring to a boil over medium-high heat. Whisk together until smooth. Add the buttermilk, vanilla and eggs. Whisk until completely combined. Lastly, if you are here to find out about the giveaway winner, please sit tight! I will be randomly drawing the winners as soon as I wake up and then contacting them first via email. I will announce on the blog as soon as I can!